Just try! I’ll get you, my pretty, and your little dog, too! Well, unless I’m melting onto chocolate brownies! 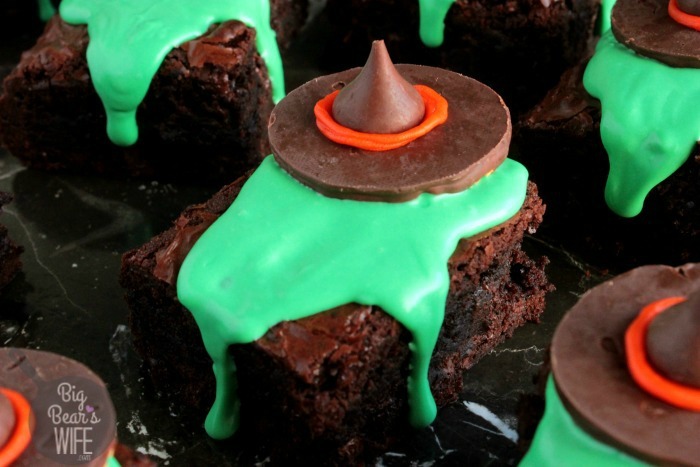 Melting Witch Brownies for your Halloween Party? Check! 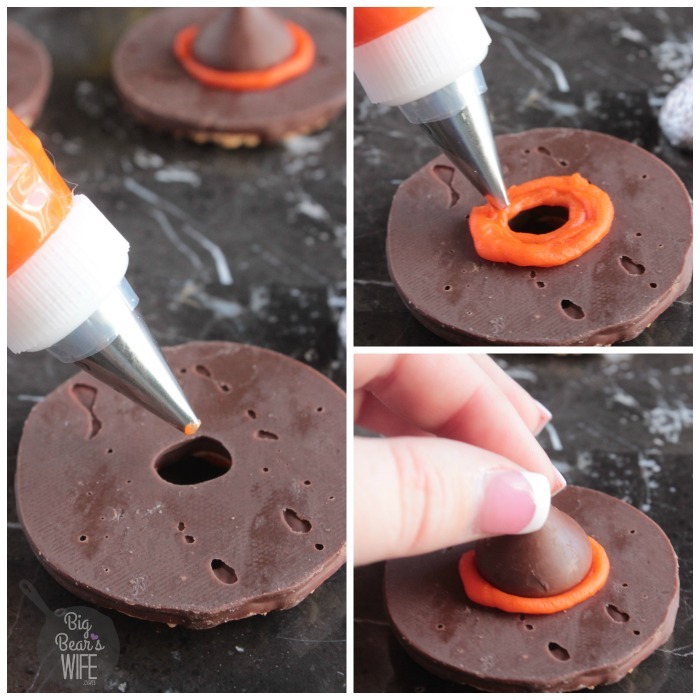 You’re going to love how easy these are to make! Great for Halloween or The Wizard of Oz parties! But now it’s time for Halloween and we’re about to HALLOWEEN ALL THE THINGS! Have you seen The Wizard of Oz? Most people have but I know that there are a few people out there that haven’t. I wasn’t a fan of the movie when I was little but as an adult, I’ve found a new love for it. 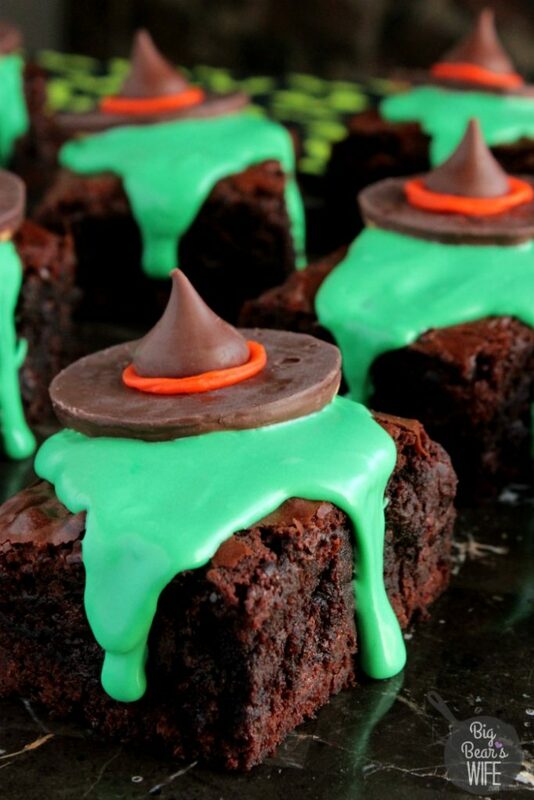 These Melting Witch Brownies would be perfect at the Halloween party this year! Let me know you how to make them. First, you’re going to need to make the witch cookie hats! I saw these little cookie hats a few years ago and fell in love with them! 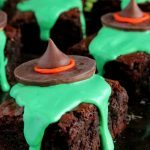 They’re perfect for these brownies, the melting witch cupcakes that are already on the blog and the melting witch hot chocolate that’ll be on the blog soon! But let’s get to the cookies. Flip Fudge Stripe cookies over to the chocolate side. So the cookies are done, now let’s make the melting witch. Heat vanilla icing in the microwave for 30 seconds. Stir. 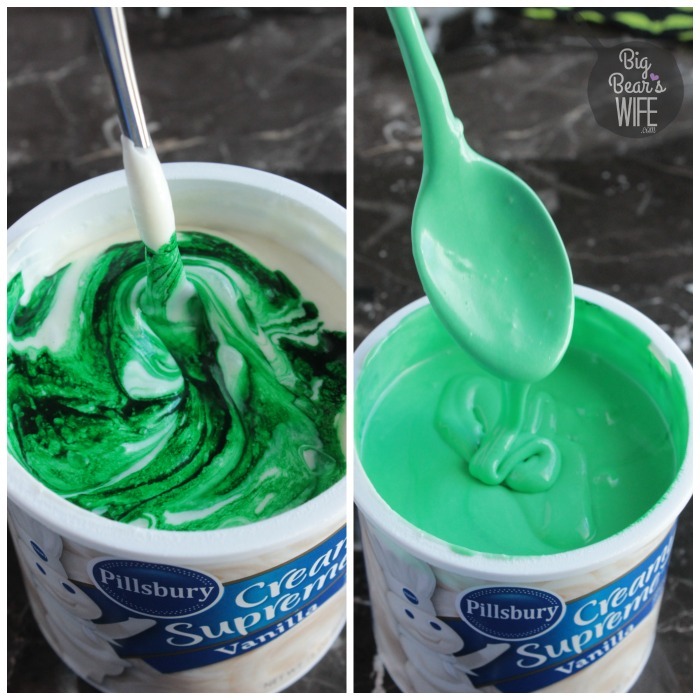 Add in a few drops of green food coloring and stir. 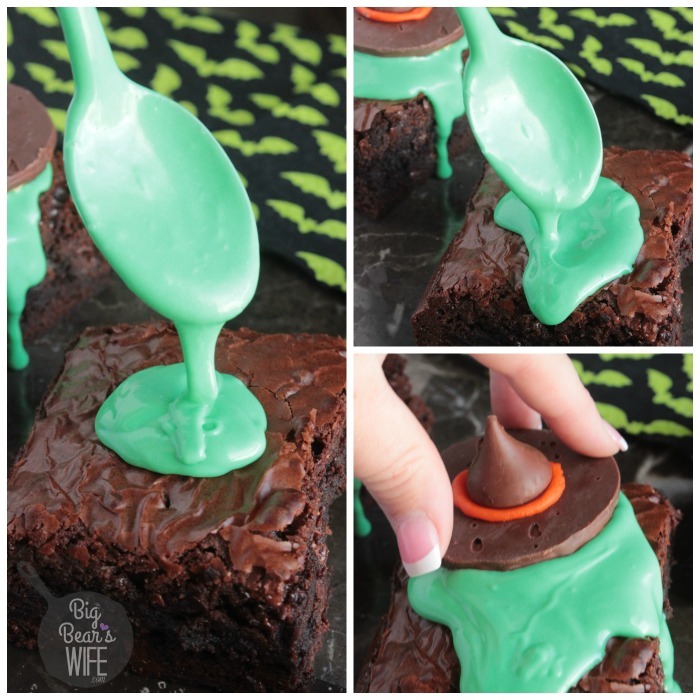 Spoon some of the green icing onto each brownie, letting it run down the sides. 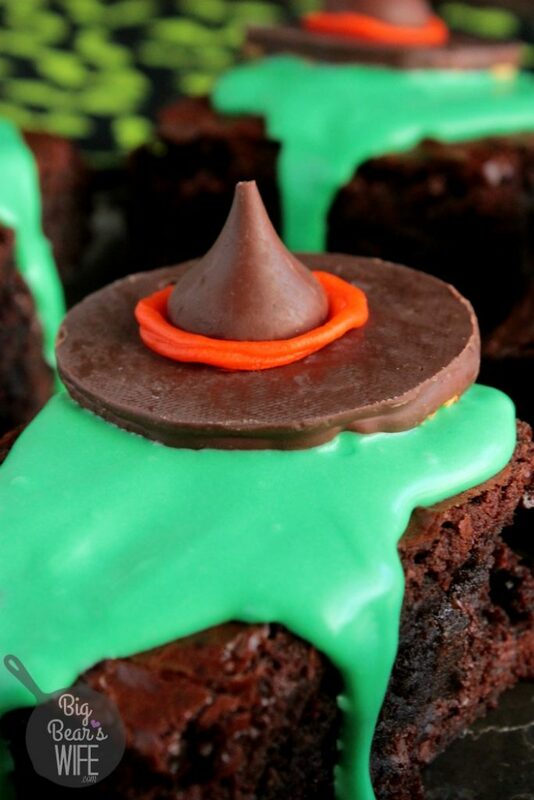 Top each brownie with a witch hat cookie. That’s it! 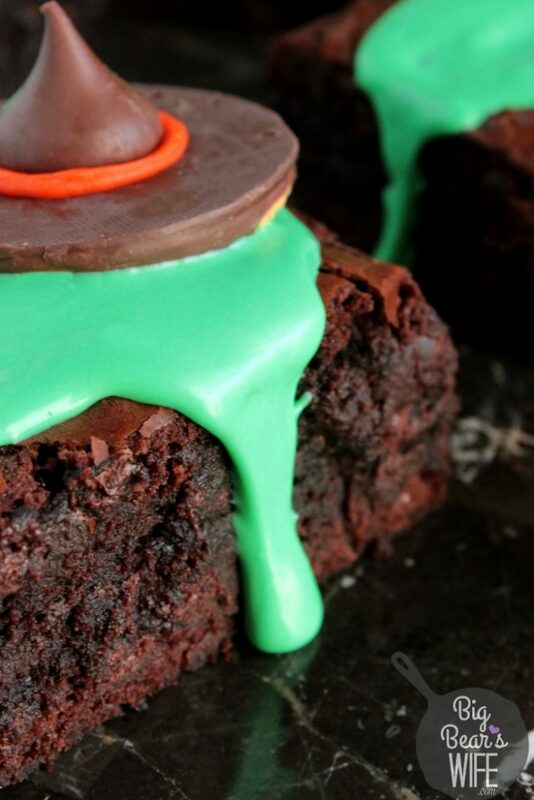 Now you’ve got a plate spelling binding Melting Witch Brownies for the party….or for dessert after dinner. Just make them and share them! Brownies are always best when shared! Happy Early Halloween! I can’t wait to share even more Halloween recipes with you! Just try! I’ll get you, my pretty, and your little dog, too! Well, unless I’m melting onto chocolate brownies! 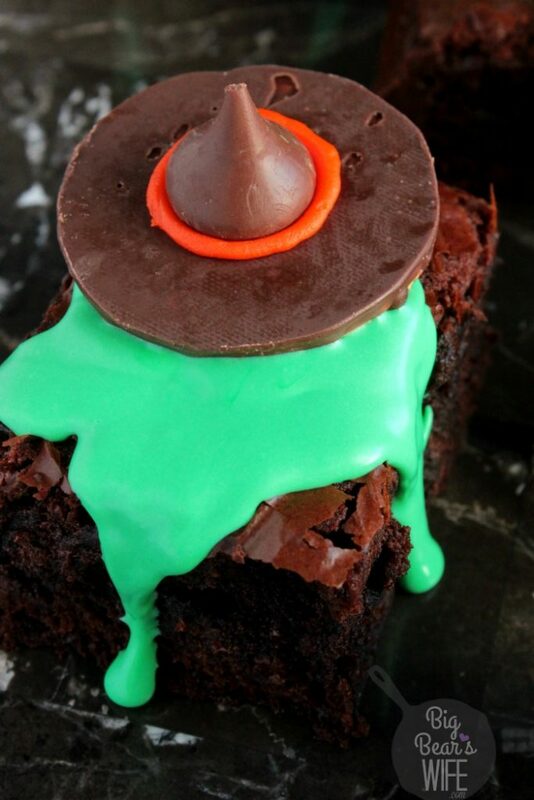 Melting Witch Brownies for your Halloween Party? Check! 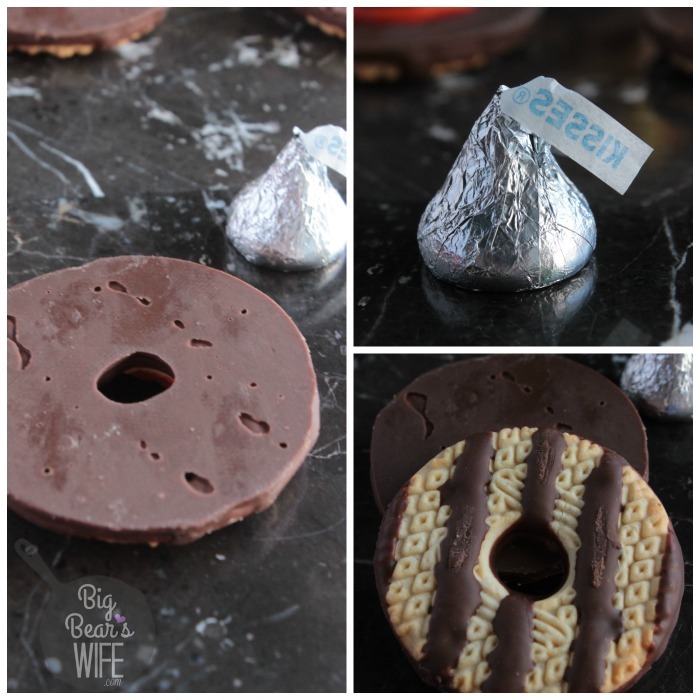 You're going to love how easy these are to make! In a large bowl, mix the brownies mix, water, egg and vegetable oil. Mix well and pour into a 13x9 oven proof pan that has been lined with foil for easy clean up. 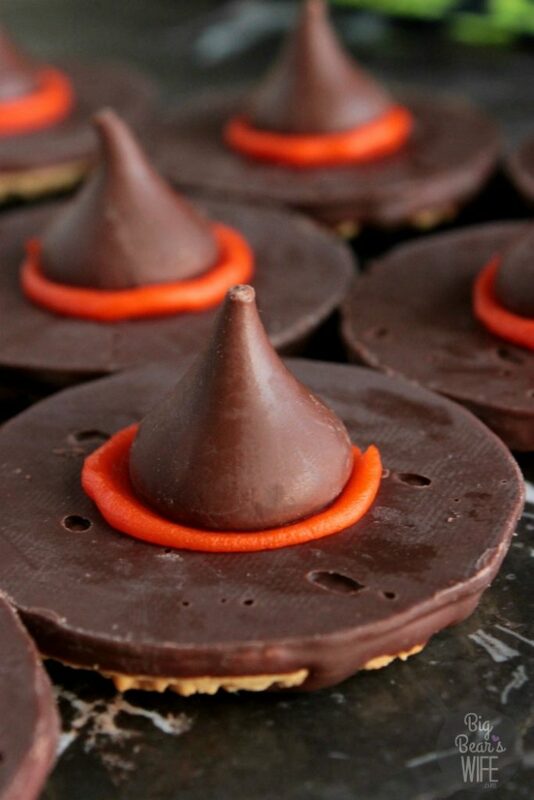 While Brownies are cooling, make witch hat cookies. After the brownies have cookies, cut into 9 large brownies (or smaller for more). 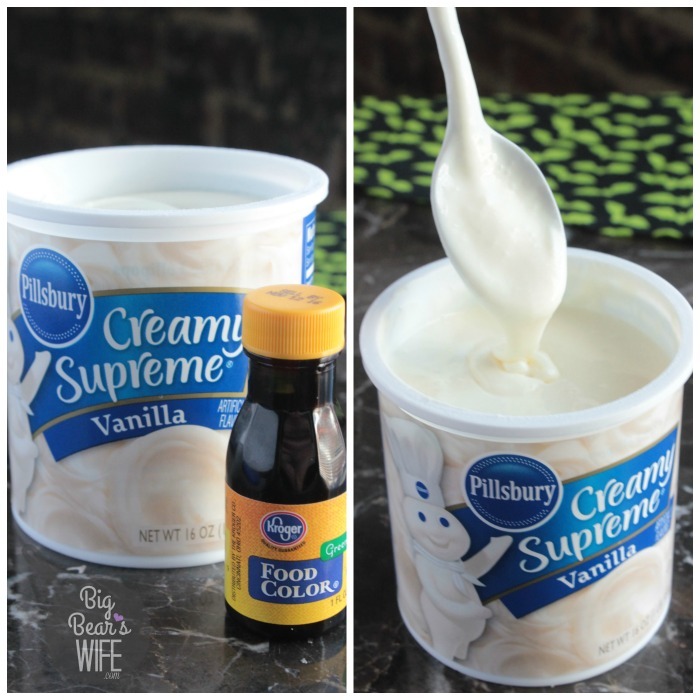 Heat vanilla icing in microwave for 30 seconds. Stir.